Bob B. 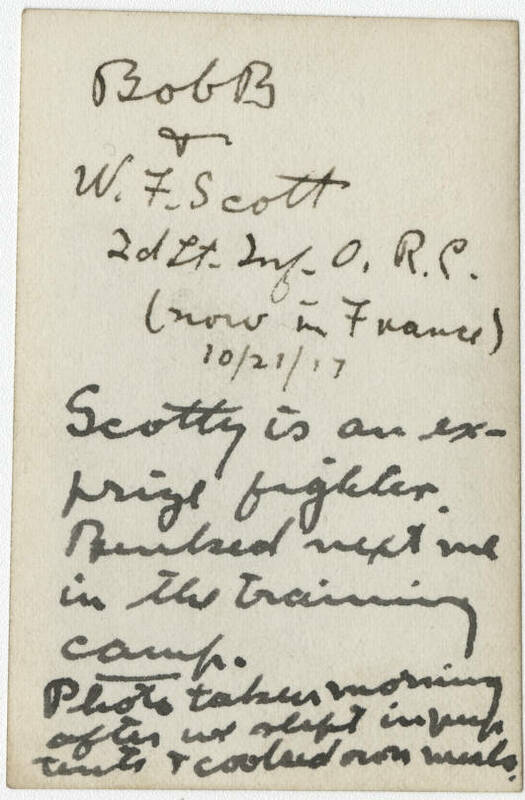 & W. F. Scott 2nd Lt. Inf. O. R. C. (now in France) 10/21/17 Scotty is an ex-prize fighter. Bunked next to me in the training camp. Photo taken morning after we slept in pup tents & cooked own meals.